Andrew Lehmberg, often mistaken for Malibu Ken, is a senior for En Sabah Nur. He has been sidelined with a knee injury for most of our season, but he has recently returned. When Lehm isn’t injured, he is the fastest of the fast. You will only be able to see the flash of yellow while he is roasting you for the goal. Lehmberg contributes to the team by being a presence on the sideline as well as a positive influence. He often gives productive input that elevates our entire teams play. When Lehm isn’t on the field, he can be found at the Ward house or in the Gym. Even though Lehm has not played much this season, he still is making big gains at the gym. The difference between what he looked like freshman year to now is huge. He looks like a different person. Lehm is on track to become a teacher and will be back for a fifth year. Look forward to seeing him compete again. You walk into a little place known as Zulema. You’re immediately blinded by this intense light and you think it may be a sign from above, an alien abduction, or even a loose flashbang grenade from the best COD (black ops, Matt). NO, you realize the light is shining off of the face of a true angel, Andrew Lehmberg. You quickly notice the bulging muscles from his freshly made cutoff, the haircut he just got with Hafeez Shams 15 minutes ago, and the two diamond studs in his ear only he could pull off. Your mind starts to wander, you think you’ve seen this face before, but where? It takes you 5.2837 seconds and then it hits you he is THE Malibu Ken. 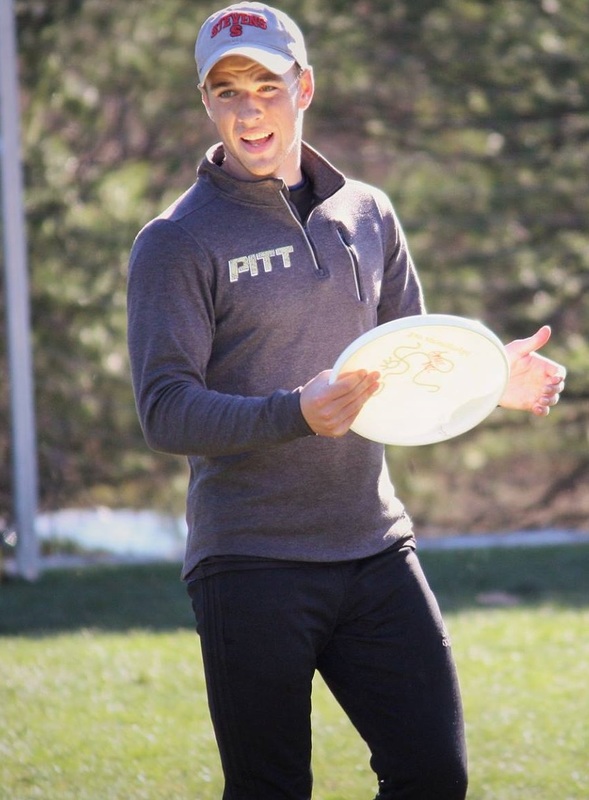 Aside from all the obvious questions (how does he keep his hair so nice, how does this man take himself away from the mirror to dominate in the game of frisbee, and how can anyone ever be almost as good as Julius Hubby at resistance) you wonder, how can one human being be so good looking and also so good at frisbee? Well I will tell you how. Lehmberg started off his career of cutting up folks in sixth grade and was able to hone/master his skills enough to make the Pitt Ultimate Team his freshman year. During his time on the team he has proven that he is more than qualified at dominating on the field by beating kids up-line, leaving his man in this dust, and skying people like it’s his job. However, he has also shown that he can dominate off the field by getting all the #gainz, being almost as good as Julius in resistance, and being the best dang big out there. To conclude Andrew AKA The Drew AKA The Yellow Flash of the Leaf AKA Lehm (pronounced “limb”) , is a force to be reckoned with this season. We are all super excited to see Lehm contribute to the team this year and especially excited to see his great hair bouncing around the field.